I’m pretty good about putting my things back where they belong. But I still occasionally lose the most important — my keys, purse, iPhone, or iPad. I may be carrying so many groceries from the car to the house that I put my keys in my purse and throw the purse over my shoulder, to free up both hands. And while in the house putting everything away, I forget to put my keys on their hook by the door. Or I use my iPhone in my office, lay it down, and papers will cover it. (No, I don’t cover it with papers; the papers cover it!) Likewise my iPad. I leave for a couple of hours, and well, you get the picture. If you’re like me, here’s the perfect solution for us. 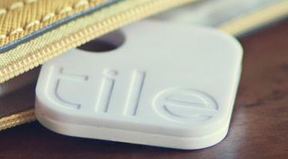 Tile (as seen on Techcrunch). And you can use several at once. 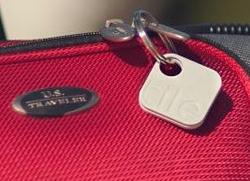 You log on to any device, choose the lost item’s designated nickname, and its tile will sound an alert. I’m not talking about one of those cheap battery-operated dealy-bobs that you get as a stocking stuffer. The ones you can barely hear, that wear out before the holidays are over and don’t seem to work when you replace the sucked out batteries. No batteries for Tile; it lasts for a year. You can even get a reminder telling you it’s time to reorder — without charging you automatically. 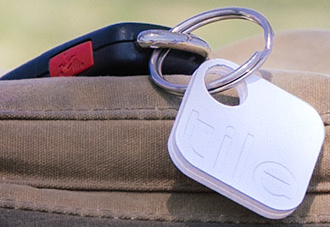 Tiles can also be shared, so multiple family members can find the keys to the family car. You can drop it into a purse, or attach it to anything that has a loop. One of my best friends has (a number of times!) accidentally put my keys or phone into her purse. 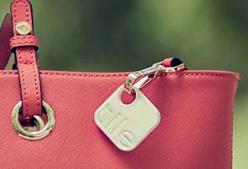 But with tile, I’d be able to log into her device with my ID and password to find my tile. And here’s one of the coolest things about it. If you lose something, say in a coffee shop, with the push of a graphic button on a device’s screen, you can report it as lost and the entire network of tile users will be alerted, so they can report it if they happen to see it. Right now, even though it won’t be available until spring, 2014, Tile has a network of 49,586 because that many people have preordered it. So, like Waze, it’s a social app. Of course, it will only be a matter of time before thieves figure out that it’s something that they can cut off with wire cutters, but at least that’s a deterrent. And until then, there’s hope for finding an item that is lost outside your home or car. And a guarantee that if it’s within hearing distance, you’ll find it wherever you are. Check out this video on Tile. Like I said, it’s way cool. I can’t wait to get some. I’m thinking, iPad, purse(s), iPhone, computer, and luggage. Even my kitties. What about you? Could you use one? Or two? Or three?